What was that chop chop chop you heard last night? Was it a medevac helicopter landing at Howard University Hospital? Was the president swinging by on Marine One for a nighttime tour of the Gage-Eckington mud pit? Neither. 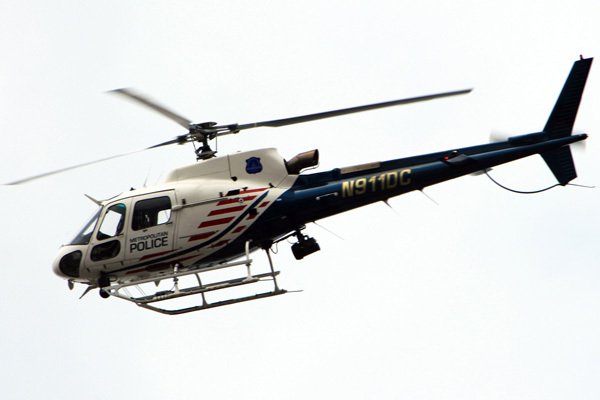 Last night the MPD, equipped with air support, arrested two people at the illegal casino running out of a house on Fourth Street between Elm Street and Oakdale Place. As early as this summer we heard complaints about the illegal games going on inside. In fact this Las Vegas-upon-Fourth was so popular that its patrons clogged the parking spaces on the surrounding streets. It was only a matter of time before the house (and neighborhood in general) became a target of a violent casino heist. Neighbors had complained of patrons loitering outside each afternoon waiting for the house to open and for the games to begin. The gambling hosts, for all the nuisances they caused, observed a self-imposed blue law, closing shop on Sunday. But just as a roulette wheel eventually comes to a stop, the casino’s business had dwindled over the past month. Last night the MPD swooped in to stop it for good. Looks like the two arrested had rolled snake eyes.